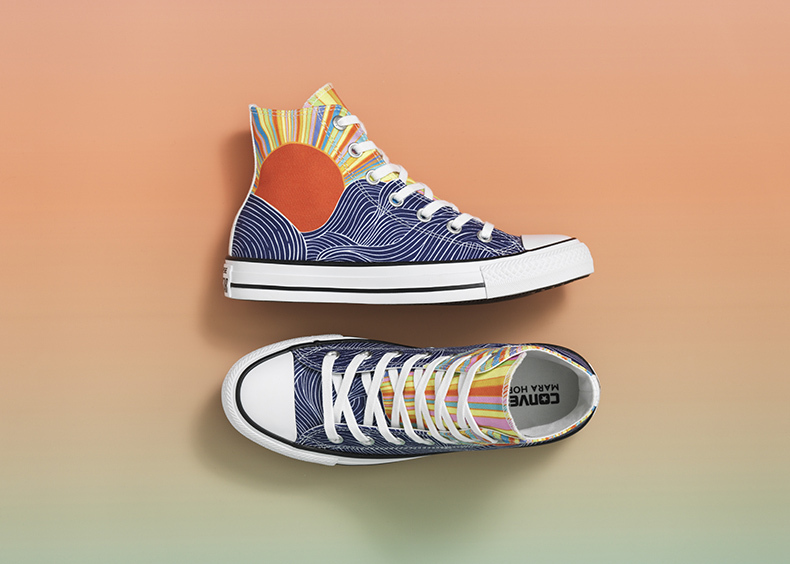 Converse joins forces with creative director and fashion designer Mara Hoffman to bring you Chucks like no other. If statement pieces are your go-to, you might want to check out this latest collaboration. We love a good print, who doesn’t? The bolder the better really, and the Converse X Mara Hoffman collaboration is a homage to Hoffman’s powerful and feminine prints. But first, who is Mara Hoffman? Founder of the self-named band, the New York-based designer is known as the queen of eye-catching patterns and bold colours and is one of the most sought after designers in fashion. Mara Hoffman quickly found her calling card after graduating from Pasrons School of Design, where she went on to create her first ready-to-wear clothing label titled ‘Circle’. The label was built upon one-of-a-kind pieces, all hand-dyed by Hoffman herself showcasing her unique extraordinary prints and patterns. Hoffman draws her inspiration from her worldly travels and experiences to which her approach for the brand as a whole is founded on the principles of sustainability. Her success skyrocketed almost instantly and along with her small-knit team her brand expanded and has continued to create new prints and textual pieces that simply accentuate the beautiful feminine form. This brings us to the collaboration. 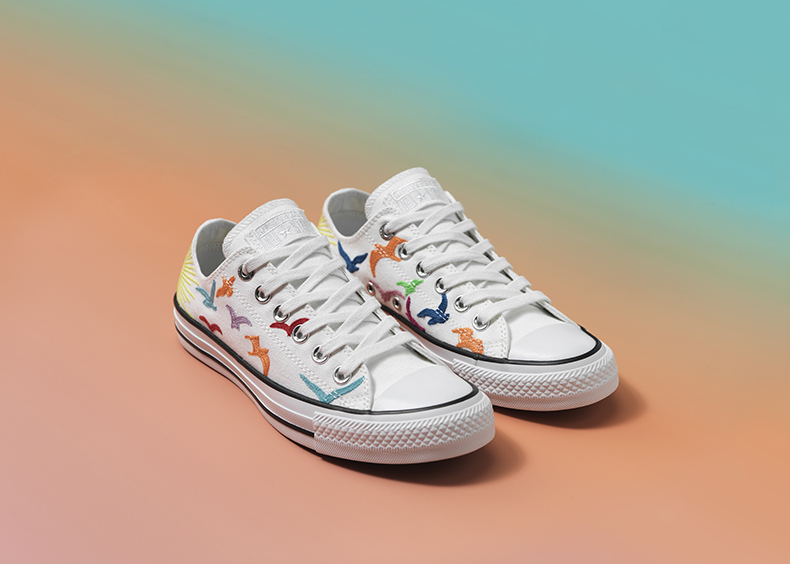 Mara Hoffman has created two silhouettes that transcend your favourite Chuck Taylor profiles to a land of feminine Technicolor, turning your feet into a piece of art. Both the All Star Hi and the All Star Ox are full of energy and creativity that Hoffman surrounds herself and her brand in. Ladies, join the circle and give your collection a Mara Hoffman upgrade and prepare to turn heads.